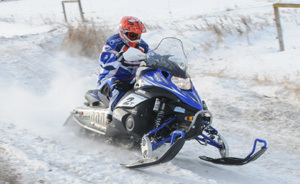 Yamaha Motor Corporation has announced its return to snowmobile competition for the 2011-12 season. 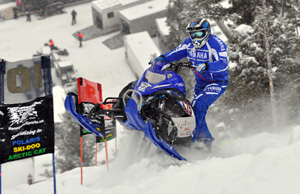 Yamaha racers will compete in the United States Cross Country (USCC) circuits (Midwest and East) and the Rocky Mountain Snowmobile Hillclimb Association (RMSHA) circuit. The USCC Midwest series will see Yamaha veterans Ross Erdman and Nathan Titus racing on the FX Nytro RTX in the Pro class, while the up-and-coming Ben Lindbom and Jake Jorgeson will saddle up for the Semi-Pro class. Rounding off the USCC team in the Sport class is Seth Thorsen and Steve Emerson on the Phazer RTX. Longtime Yamaha snowmobile racer Erik Frigon will race Semi-Pro while mentoring Sport racer Michael Ewaschuk in the emerging USCC East division. 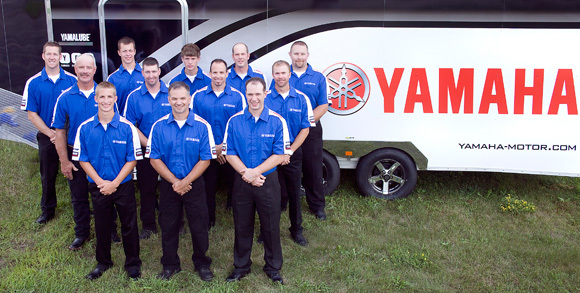 “We’re really excited to get back into racing” says Wade West, Yamaha’s snowmobile marketing manager. “The increased interest in grassroots racing over the past few years makes our entry into cross country racing all the more important. We’ve found that the market is moving away from the prepackaged spectacle of stadium snocross and gravitating more toward the relatable cross country events that compete on the same trails we ride. That’s where our high performance 4-stroke power shines and what our FX Nytro models were engineered to do. As for the climbers, Pro racers Cable Willford and Kody Malmborg will headline Yamaha’s RMSHA race effort. Both will compete on the FX Nytro MTX in 600 Mod, 700 Mod, 800 Mod, and Open classes. Additionally, Kolton Malmborg will race for team blue in the Semi-Pro Stock, Semi-Pro Improved Stock, and Semi-Pro Mod classes.